transport industry, Chief Amos Ezeani, has reiterated the importance of railway transportation in nation building. 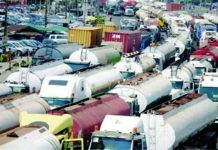 Ezeani, who is a retired staff of Nigerian Railway Corporation (NRC) said the importance could not be over-emphasised, as it plays a pivotal and significant role in the trade commerce and industry of any nation. The retiree who made these assertions in a chat with our correspondent in Port Harcourt Monday said “Railway transport plays a significant role in the transport system of a country because the development of its trade, industry and commerce largely depends on the development of its railways, pointing out that the federal government should redouble its efforts in ensuring mass rail transport across the country. According to him, rail transportation facilitates long distance travel and movement of bulk goods and services, which are not easily transported through roads, adding that it is quick and more regular as they have time-line for every movement each day. The stakeholder noted that quick movement of goods from one destination to another was also made easy with rail transport, adding that it helps in the transportation of good with speed and certainty. Ezeani stated the rail transport also helped in the industralisation process of a country, especially when Nigeria was transporting coal and other raw materials with cheaper rate and ease. The retiree stressed that railway transport is the fastest form of land transport because its chances of breakdown on the road, accident or insecurity is highly minimised compared to vehicles, moreso, weather condition had no effect on rail transportation. He further opined that rail transport is the best mode of mass transit as it could carry a large capacity of passengers and goods, as well as its inter-city connections, adding that it is reliable, environmentally friendly, has enough space, security and boosts the nation’s economy. The stakeholder however enjoined the Federal Government not to relent in its efforts in giving priority attention to rail transportation in the country due to its importance and benefit to the society and the nation at large.